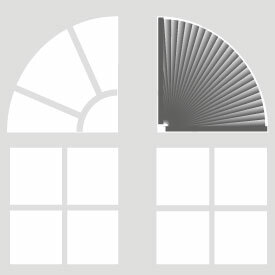 Why Buy Arched Window Treatments? There’s nothing like a graceful arch to instantly add architectural detail and interest to a plain window. In fact, arches are so popular, it’s hard to think of them as “odd shaped” windows, but they are still considered a specialty custom window treatment. Some people think they may be hard to cover, too, but they're not. 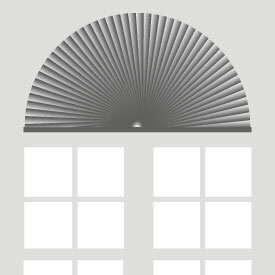 Honeycomb-style arch treatments are easy to coordinate with your existing cellular shades -- or new ones -- for a custom, well-designed look from floor to ceiling. Covering arched windows with soft, light filtering or room darkening energy efficient cellulars that trap unwanted cold or hot air will help save you money on energy costs, too. You may not realize how much light and heat comes through an uncovered arch. 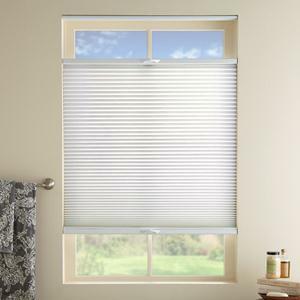 By covering them, you can control the amount of sunlight you want coming through to help reduce glare or keep rooms dark, and to give you more privacy. 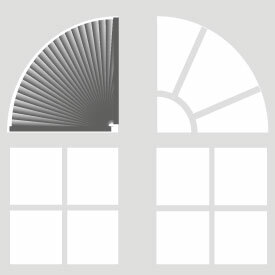 There are several different arch-shaped windows, including traditional half-moon and sunburst styles, as well as elongated eyebrow and quarter arches. Depending on the size and location of the window, you can customize with a stationary or movable covering to meet your needs. 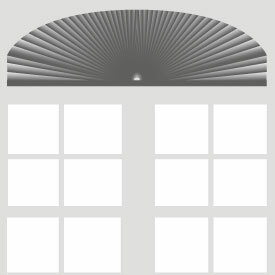 Ready to order, have any questions, or need help selecting the perfect arched shades or arched blinds? Just call our Customer Loyalty Team arch experts, or shoot them an email at specialty@selectblinds.com. 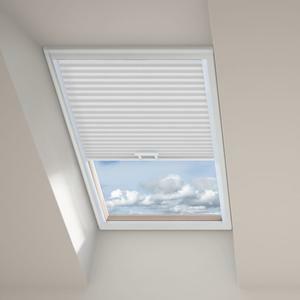 Have other types of odd-shaped or specialty windows, like skylights? Here's a handy buyer guide to help you find the perfect custom specialty window coverings for those, too.